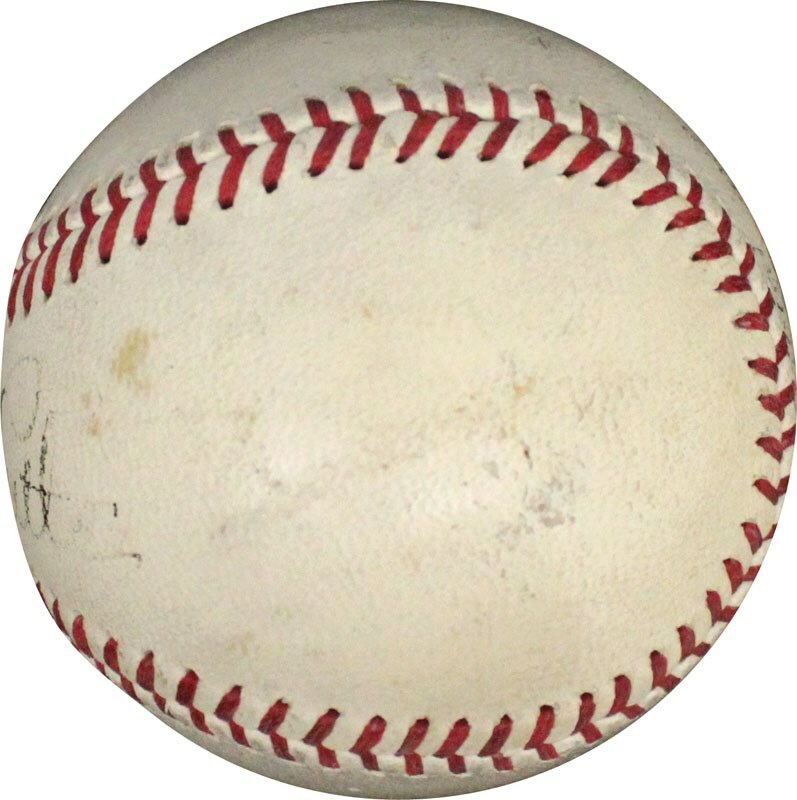 No truer words were ever spoken for the immortal George Herman "Babe" Ruth lived his life to the fullest every day, emulating that care free lifestyle in the batter's box via his seemingly infinite number of colossal swings. Unquestionably, the 'Bambino" never feared taking his mighty cuts, proving that theory at least 714 times during his storied career with so many of his mammoth home runs testing the furthest confines of any ballpark. 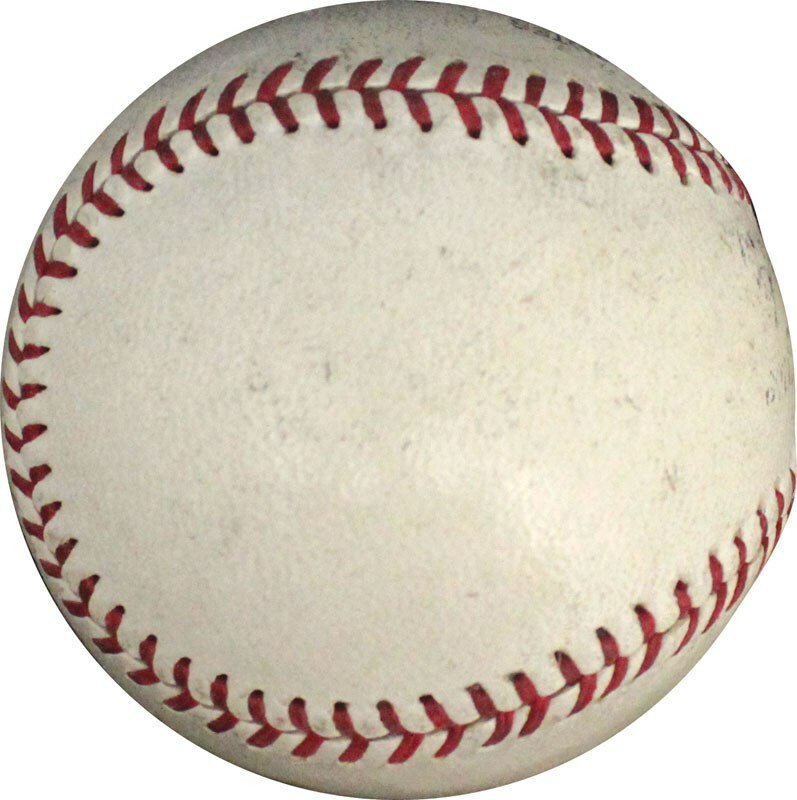 No baseball player before or after could possibly hope to match the dynamic charisma and diamond excellence as the incomparable Babe Ruth. 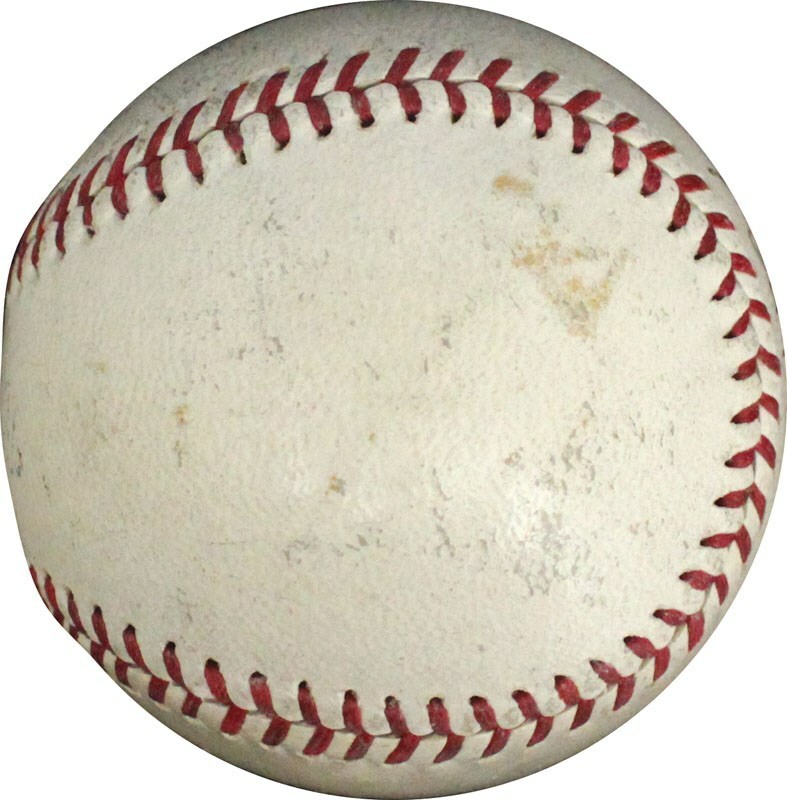 His unparalleled accomplishments have set the ultimate benchmark for any professional baseball player, with his remarkable mystique placing him as the idol of a seemingly infinite number of aspiring young fans. 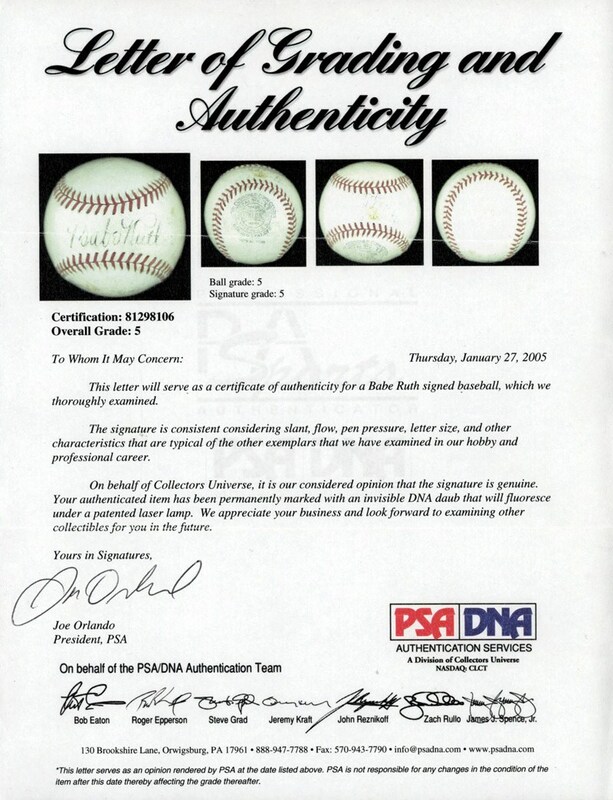 While there are a myriad of Ruth collectibles to choose from as a testament to his majestic legacy, we cannot imagine any of them reflecting the ultimate prestige of a single signed baseball. 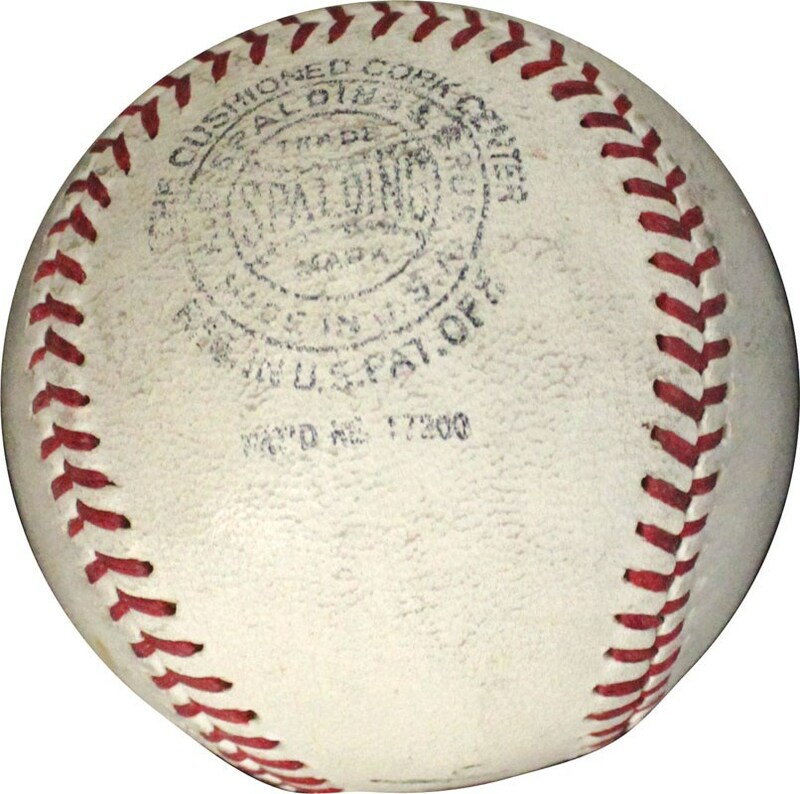 Indeed, any horsehide sphere scripted solely by Babe Ruth on the "sweet spot" resides as not only the arguable pinnacle "Ruthian" keepsake but one of the foremost mementos in the hobby. 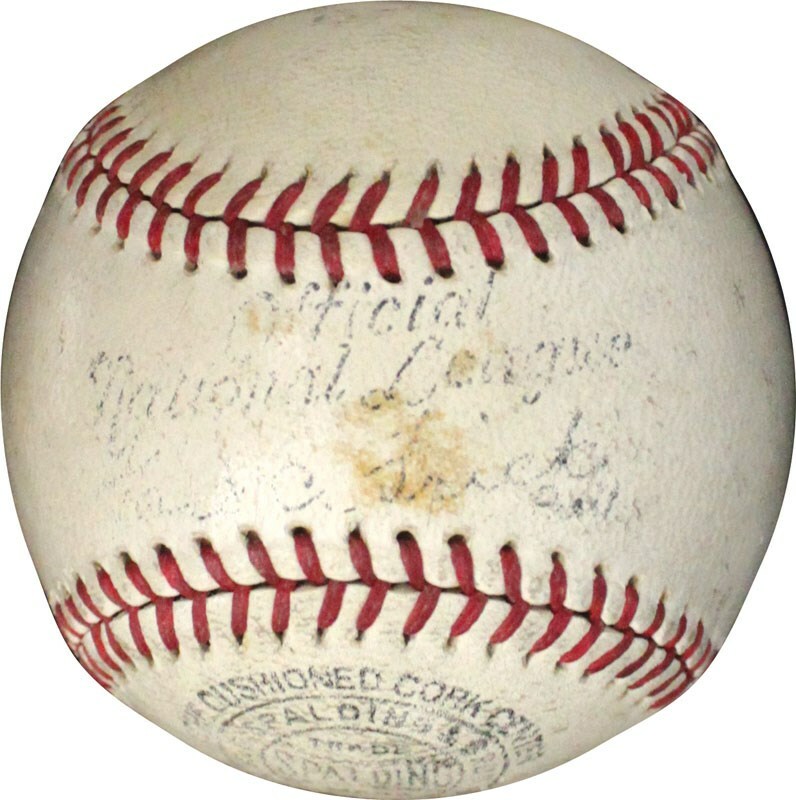 Withy that said, presented here is one of the true highlights of this spectacular 500 HR-Ball collection, a super eye pleasing Babe Ruth signed Official N.L.Ford Frick horsehide sphere. 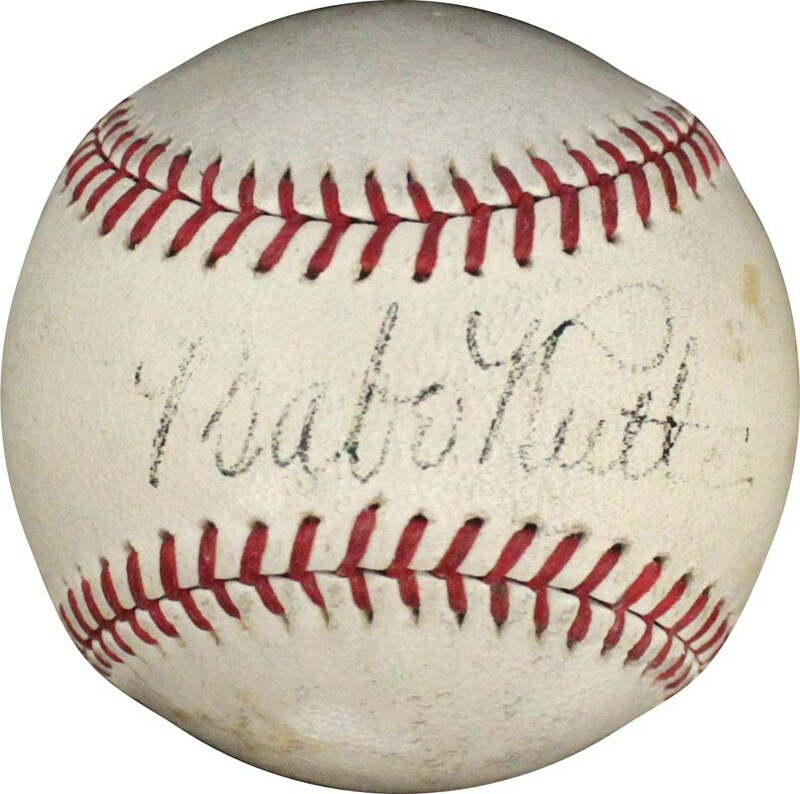 The legendary "Babe Ruth" script is portrayed along the sweet spot and while only grading a "PSA EX/5", the signature's overall aesthetics are superior than the somewhat harsh assessment.